Looking for installation help? Have a question about measuring or dimensions? You are in the right place. 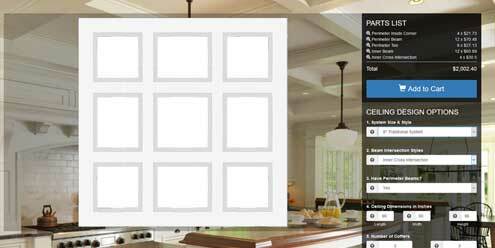 Get inspired and browse through our 1,000's of project ideas. Most of the projects in the gallery were submitted by DIY'ers just like you. Take a look and get inspired. CAD files in .dwg and .dxf file formats can be found on each product page, when available. We also offer some grouped CAD files you can download below. Coffered Ceilings have traditionally taken a fine carpenter to install. Not anymore. We have made the planning, products, and installation a beautiful DIY project. If you can install mouldings, you can install our coffered ceiling system. 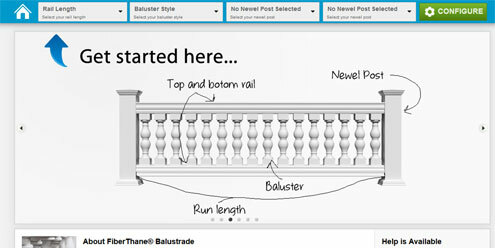 Make ordering balustrade easy with our beautiful balustrade designer. Check out our collection of baluster options, enter your dimensions, and get a full specification sheet of each individual run, as well as, a parts list for your project. 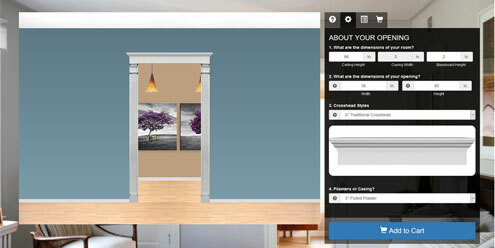 Easily visualize how crossheads, pilasters and pediments can come together and make a dramatic difference to your entryway. Crossheads can be used around doors, windows, and transition entrys between rooms. Easily add a WOW factor to your home. Discover the variety of wainscot paneling styles and combinations you can use to get that perfect look. 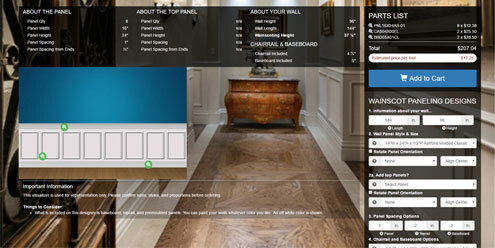 You simply need the length of each section you would like wainscotting, and our designer will do the rest.